Just as with any symptom, a toothache is an indication that something is going on inside your mouth and needs to be addressed by your dentist. 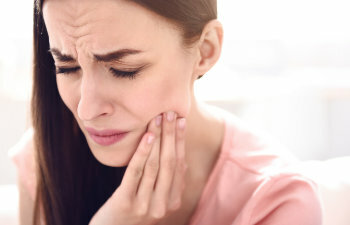 Ignoring a toothache will only make matters worse, so it is essential that you have your pain or discomfort attended to sooner rather than later. A toothache is unlike a headache or a joint ache that goes away on its own. Many people make the mistake of assuming that a minor toothache will just “get better,” but what people need to understand is that a toothache does not work like that – a toothache is a direct indicator that something is wrong. When your tooth hurts, it is letting you know that there is an issue going on inside your mouth. In fact, you may only think that your tooth hurts because the pain could be caused by an infection in your gums or an abscess at the tooth’s root. Or, your pain could be caused by a popcorn kernel being stuck between your teeth that has begun to decay. There are many reasons why people complain of a toothache, and they all need to be evaluated by a dentist. At Gold Hill Dentistry, we care about all issues regarding your oral health. We understand that a toothache is a signal warning you that something is wrong and needs to be taken care of immediately. Please do not ignore your toothache – your pain and the consequences of your pain will only become more severe the longer it lasts. Call Gold Hill Dentistry today!